Superman Has A Hot Mom!!! This is great news. 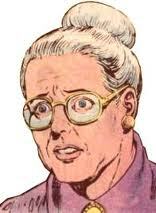 I am glad Snyder went with this actress. Changing the homely looking mother of Superman to one hot mom. That’s right. Mama Kent (Martha Kent) will be played by hot actress, Diane Lane (UnfaIthful, The Perfect Storm, and Judge Dredd). This is an addition to Kevin Costner being cast as Pa Kent. I think this is the right direction. Warner Bros. Pictures and Legendary Pictures announced today that Oscar®-nominated actress Diane Lane will play Martha Kent, the only mother Clark Kent has ever known, in the new Superman movie to be directed by Zack Snyder. Snyder stated, “This was a very important piece of casting for me because Martha Kent is the woman whose values helped shape the man we know as Superman. We are thrilled to have Diane in the role because she can convey the wisdom and the wonder of a woman whose son has powers beyond her imagination.” Lane will star with Henry Cavill, who was recently announced as the new Clark Kent/Superman. Lane earned an Academy Award® nomination for her performance in the 2002 drama “Unfaithful.” She most recently starred in the family hit “Secretariat.” She next stars in the HBO feature “Cinema Verite,” opposite Tim Robbins and James Gandolfini. Lane’s long list of film credits also includes “Nights in Rodanthe,” “Hollywoodland,” “Must Love Dogs,” “Under the Tuscan Sun,” “Perfect Storm,” “My Dog Skip,” “Chaplin,” “The Cotton Club” and “A Little Romance,” to name only a portion. Charles Roven, Emma Thomas, Christopher Nolan and Deborah Snyder are the producers of the film. The screenplay is being written by David S. Goyer based on a story by Goyer and Nolan. Thomas Tull and Lloyd Phillips are serving as executive producers. Slated for release in December 2012, the new Superman movie will be distributed worldwide by Warner Brothers Pictures, a Warner Bros. Entertainment Company. Film Review: ‘Man of Steel’!!! ‘The New ‘Man of Steel’ Trailer is Amazing!!! It’s a Bird. It’s a Plane. It’s the new Superman Trailer!!! Superman ‘Man of Steel’ Posts Open Casting Call and Reveals Official Synopsis!!! This entry was posted on Thursday, March 3rd, 2011 at 1:03 pm	and is filed under Comics, Film, News. You can follow any responses to this entry through the RSS 2.0 feed. You can skip to the end and leave a response. Pinging is currently not allowed. « Tom Hanks & Tim Allen Will Reunite and Star in “Jungle Cruise”!! !